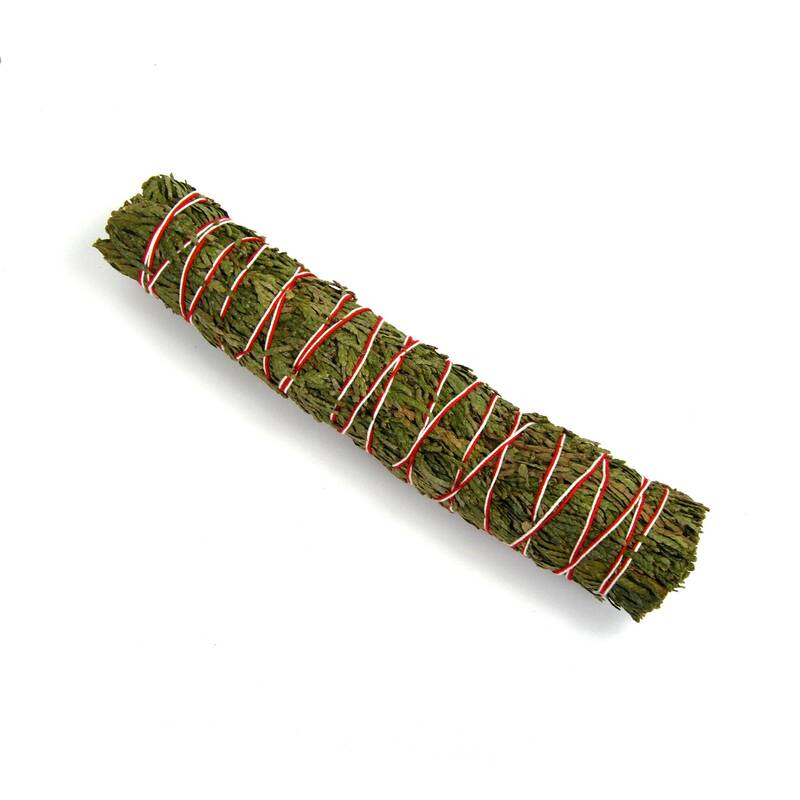 For your consideration is this natural cedar bundle for smudging. They are large size at 7 inches long. The color of the thread may vary from the photo. Cedar was a very popular smudge used by Native Americans to cleanse, purify, and bless a space or person. It is thought to attract good spirits and cleanse negative energies. It is said to improve wisdom, strength, certainty, and endurance. Very popular to use during meditation and prayer as an offering. This is a personal favorite that I use daily in my brick and mortar shop.